Starting Out! is a life skills education program emphasizing 21st Century Skills including critical thinking, problem solving, communication, collaboration, creativity, and innovation. Starting Out! Navigating Life After Military Service includes a Handbook and Teacher's Guide. Starting Out! is a life skills education program emphasizing 21st Century Skills, including critical thinking, problem solving, communication, collaboration, creativity, and innovation. Starting Out! 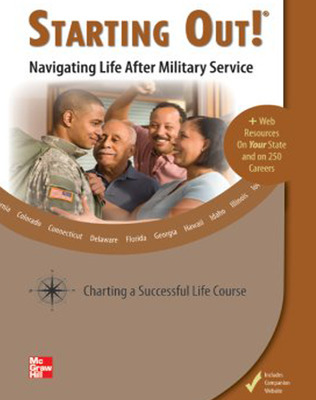 Navigating Life After Military Service includes a Handbook and Teacher's Guide.